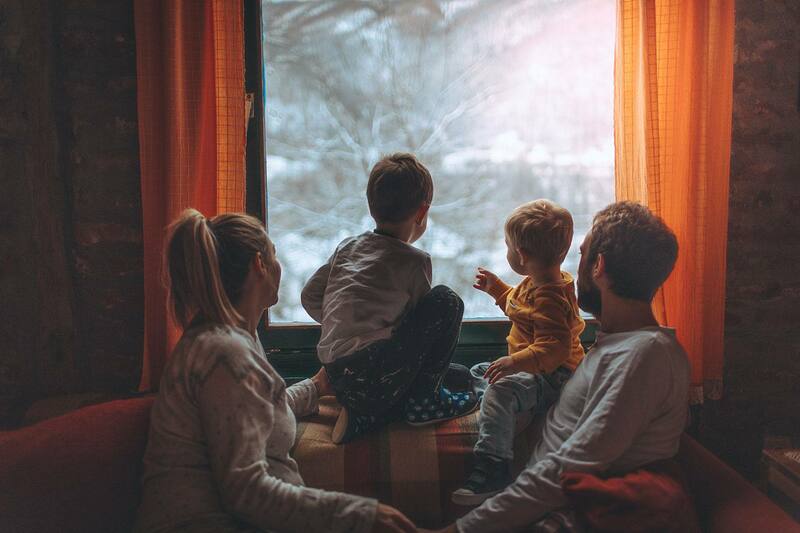 The onset of winter brings about many happy times with friends and family, but your house can sometimes feel left out in the cold. The harsh weather can cause it all sorts of problems and headaches (or is that attic-aches? ), so it’s good to prepare it to withstand the elements as best as possible. Whether it’s water damage, frozen pipes or roof damage from heavy snow, repair bills in the winter can cost you thousands of dollars. Protect yourself from avoidable damage by following our top seven winterizing tips! Treat your heater right. After months of taking your furnace for granted, it’s time to give it some more consideration. Having it function poorly once the icy winds start whipping up outside leads to an uncomfortable living experience. Nobody wants that, so before you regret it, you should have your furnace looked at by a professional HVAC specialist to ensure it’s in great condition. Additionally, you should replace your air filters monthly to increase the furnace’s efficiency and prevent uneven heating. Have you ever been in a home where some rooms feel nice and toasty, while others are more like ice boxes? Dirty filters or vents could have been the culprit! Inspect the home’s caulk. Over time, caulk can dry, shrink or crack, allowing for water or cold air to breach places they shouldn’t. Inspect interior and exterior caulking each year, and re-caulk as necessary. Good caulking around exterior windows will prevent drafts and lower heating costs, while cracked caulk in the bathroom could mean water pooling inside the walls, causing extensive – and expensive – damage. Don’t forget about it. Turn off water to exterior pipes and irrigation systems. Outside faucets and irrigation systems aren’t used at all during the winter, so why have potentially dangerous water flowing to them? If they freeze and burst, you’re looking at expensive repairs. Cut the water as soon as possible to prevent issues. Leave the faucets open, have the irrigation system professionally drained and bring any hoses inside for the winter. Maintain any concrete. Icy concrete walkways are hazardous and shouldn’t be cleaned with salts or chemicals. These common treatments can actually damage your concrete. It’s best to use a sealant twice a year: once before winter and once immediately after. Check exposed concrete for drainage issues and make sure that water doesn’t pool anywhere. Then, once the snow hits, try to shovel it the best you can (plastic shovels are easier on your concrete than metal ones) and thoroughly clean it once it warms up. Check the water heater. Nobody is craving to take cold showers in the winter. Inspect the water heater each year, looking for any leaks and setting it to the correct temperature. The Department of Energy recommends to set it at 120 degrees. Doing so could actually save money in utility bills. Clean those gutters. Just because the leaves have already fallen from the trees, doesn’t mean your gutters are safe from the winter blues. Make sure they’re clean and in tip-top shape. If not, you could end up with ice dams, which can result in serious water damage to walls, insulation and more. Koch Homes have been one of the premier homebuilders in the Washington D.C. area since 1951. So, it’s safe to say we know a little something about houses. And while the winters here never really get too intense (we’re not Buffalo, after all), it’s still important to winterize the best you can. Forgetting to drain your outdoor pipes, or to have your filters and chimneys regularly cleaned, can cause major problems in the future. Follow our helpful tips, and you should be well-protected from Old Man Winter’s frigid grip. If you’re interested in building a home in the Washington D.C. area, contact us today to set up a consultation. When you choose Koch Homes, you’re one step closer to your dream house.